Television's Michael Emerson (from "Lost" and "Person of Interest") and Carrie Preston (from "True Blood" and "The Good Wife") with blankyclips, their favorite baby gift. What a fun and original idea. As a pediatrician, patients are always asking me about new and helpful products for their babies. I think this is a terrific invention. Adrienne has really done her homework. Everything has been safety tested. She got a utility patent. She's tested it out on her own 2 kids. She really knows what she's doing and created a fabulous product. Now I have my favorite baby shower gift! They're really cute. 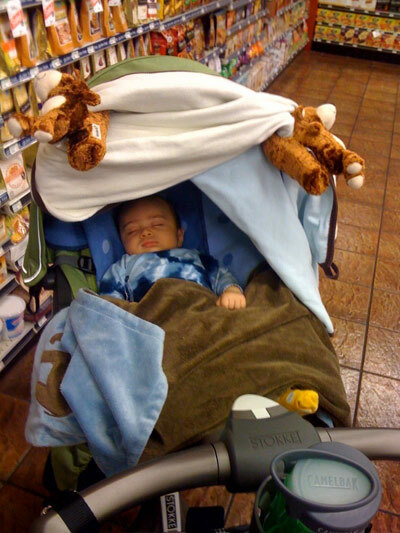 And my wife had just been saying she couldn't figure out how to keep the blanket attached to the stroller... then voila, we get some blankyclips! What an awesome idea. Congrats! Happy Customer shares the thank you note he recevied. Thank you SO VERY MUCH for the AWESOME baby gift you sent baby Jack! Not only do we use the clips and blanket to cover him in his car seat and stroller but he is OBSESSED with staring at those duck clips!!! And the blanket cover is his favorite to wrap up in every nite!! What a fantastic gift!! We wish you the best of everything this year. A grateful friend receives a blankyclip set for their new baby! Thank you. I can't tell you how often we use this. Here we are on a sunny day walking to the farmers market (so LA). Big thanks. We love 'em! OH MY GOD!!!! If I knew how to make a cyber scream I would. I just got my order of blankyclips and I am IN LOVE!!!! They are adorable, classy, cushy, everything a mommy and baby could want! I can't wait to show them to all of my friends. Fantastic job! My wife is so happy using her blankyclips. 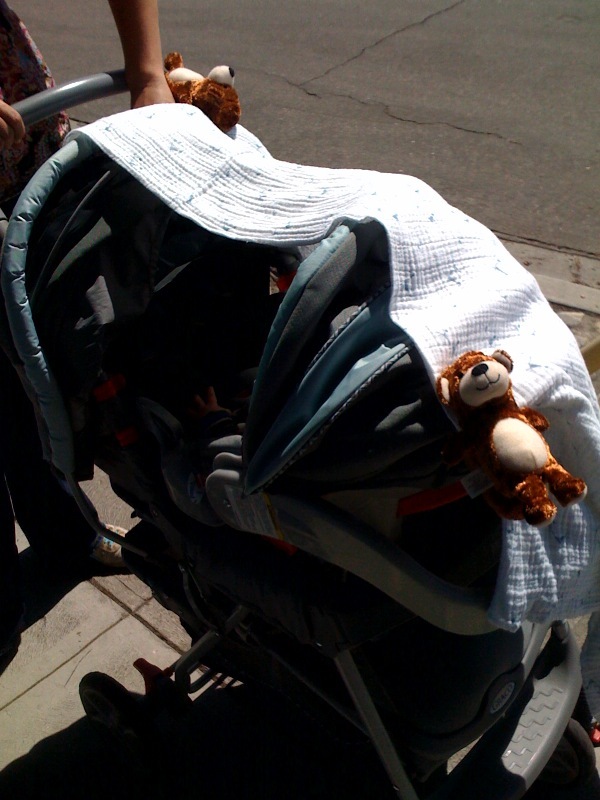 She loves that the blanket doesn't fall off our son's stroller when we're out walking in the city. And we even use it over the pack n'play, to make it a little warmer in there. Your product is so great! We are so happy we can use it everywhere. Thanks. Hello Adrienne! It was truly a pleasure to meet you at the Baby Expo! I have to say that out of all the items I've seen at the expo, yours really stood out as being really unique! You probably don't remember me since you must have met hundreds of people lately! But it's ok ;) I just wanted to find out approximately when I should expect to receive my first shipment! I'm so excited for you and your insanely genius product!